David Le/Gloucester Daily Times. 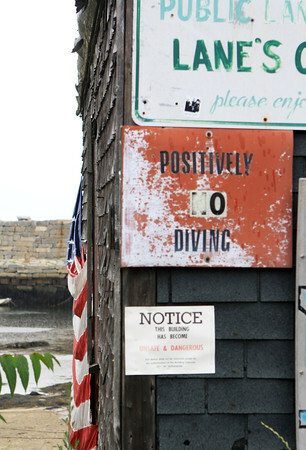 A rain-soaked, slightly tattered American flag hangs forlornly on the side of Mourey's Shack, one of the last fish shacks in Lane's Cove, near a notice from the city, warning that the building is "Unsafe and Dangerous." City Councilors are working with the mayor to restore this historic landmark in Lanesville. 7/13/11.